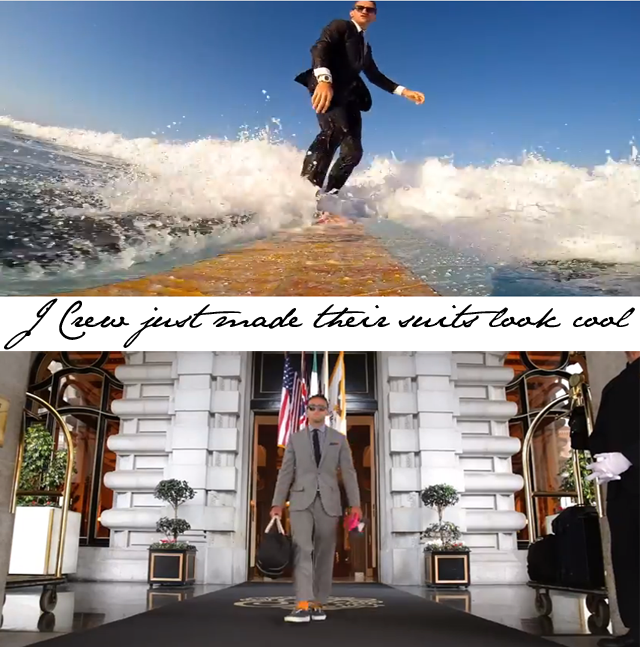 J.Crew had a tough task ahead of them in making their suits look cool. First of all, suits generally aren't as cool as they used to be. Lads these days seem to prefer jeans and t-shirts to the proper suit and tie look, which truly is a shame. So they have that working against them, but they are also competing with every big fashion brand that has made fine suits for decades. What does one to to grab their share of the market when the odds are not in your favor? Well, you hire one man to turn the tables on cool. You call Casey Neistat. You may remember us writing about filmmaker Casey Neistat before. We were taken in by his amazing film series in which he documented the process of making a commercial for Mercedes-Benz. It seems we weren't the only ones taken with Casey as J.Crew gave the filmmaker a task of wearing and sharing their suits. The outcome, in true Neistat style, is a thing of pure genius. Casey Neistat travels around the globe showing us how to "travel in style," and that he certainly does. Seen in his J.Crew suit while he snowboards, skateboards and surfs, we're falling in love with this style like never before. Job well done, Casey.